October 11, a date that’s special for millions worldwide! It’s the day a star was born; his name Amitabh Bachchan, a man who would be a superstar and inspire generations with his talent, versatility, style, quick wittedness and mesmerising baritone. As a special surprise for his fans this year, Mr. Bachchan in association with Twitter and Fluence, India’s leading Celebrity Digital media network which connects Celebrities with their Fans and Brands through their digital presence, will respond to all his fans that follow him on Twitter @SrBachchan and tweet and send him birthday wishes with the hashtag#AB72Wishes. These Lucky fans will receive a digitally signed, specially autographed poster by Mr. Bachchan, that’s not all each day one Fan will become fortune’s favourite for the day and receive a specially recorded personal video message by the Big B, that is guaranteed to make his day and be treasured for a lifetime. 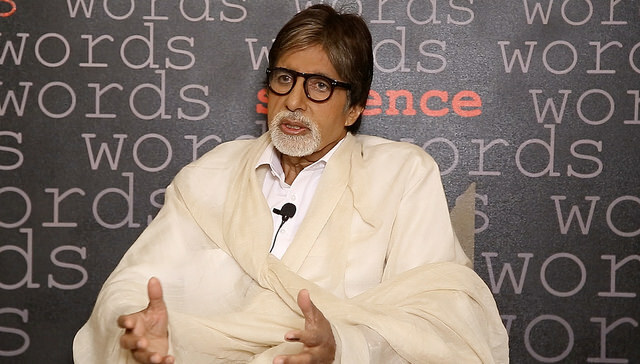 Mr. Amitabh Bachchan fondly known as the BIG B, rules over many hearts and this year via Twitter for the first time Mr. Bachchan will be able to thank his fans for showering him with their love and affection. With a fan following ranging from the age groups of 8 to 80 the superstar is the heartthrob of millions and the Shahenshah of Social media with more than 30 million people following him across social media platforms including Facebook, Twitter, Tumblr, with 10.6 million followers on Twitter itself. His Birthday is a date marked on many calendars across India as a day of celebration and to give all his fans sufficient time to greet their superstar on his special day, this activity will be on for 5 days, starting Wednesday 8th October to the big day Saturday 11th October. So if you’re a fan, starting 8th October 2014, follow The BIG B on Twitter @SrBachchan and tweet him with the hashtag #AB72Wishes for your digitally signed poster and who knows you might be the lucky one who receives a video message from your idol, the superstar Mr. Amitabh Bachchan!